Here it is a great opportunity for the candidates those who are looking for the Constable Govt Jobs in Railway department after the 10th or 12th pass. Every year RPF use to publish bumper vacancies for the 10th 12th pass candidates. The eligible candidates can apply for constable job in Railway Protection Special Force after RPF Recruitment Notification released. 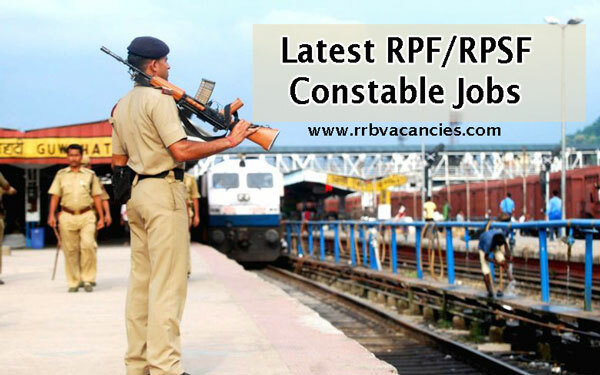 RPF Constable Recruitment 2019: Railway Protection Force is well known as RPF. It is for protecting railway passengers, railway properties and passenger area of Indian railway. The force is under the Indian Ministry of Railway. Right now, Railway Protection Force (RPF) is looking to release the latest job advertisement for filling up about 18000 empty posts of constable. There is a good opportunity for all the Indian citizens who searching for Indian Railway Jobs because Railway Protection Force gives you golden chance for 10th pass or 12th pass aspirants. For more information please visit our site and search out RPF Recruitment 2019. All applicants are advised to refer given below information about the eligibility criteria such as educational qualification, age limit, work experience, etc. Candidates Minimum age is 18 years and maximum age is 25 years. Those candidates who want to apply for RPF job have must completed 10th or 12th Pass as a minimum Educational Qualification. Applicants have to pay Rs. 40/- Only. After completion of filling online application form all the candidates have to pass through some common procedure. The selection is given below for you. Physical measurement like height, long jump, 800 meters running, high jump etc. Salary will be different as per post wise. so for more detail about post wise salary you have to refer the official RPF Recruitment 2018 Notification. Here, we have listed RPF Recruitment region wise. Candidates can refer region official website for latest upcoming vacancies information. For more details regarding RPF Recruitment 2019 visit our authorized web portal www.rrbvacancies.com.